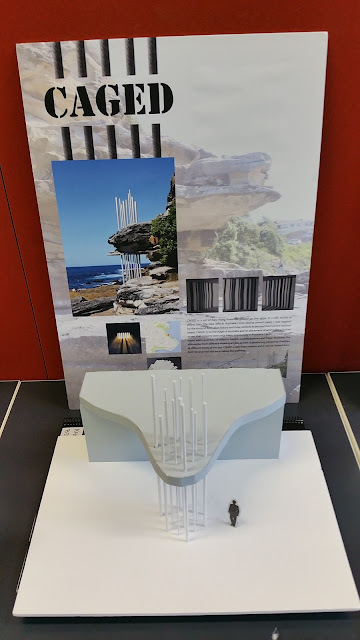 This was my Final Design project in UNSW Foundation Studies 2015, based on the event Sculpture by the Sea. "CAGED is a set of bars rising from the ground on the edge of a cliff acting as prison bars. The idea reflects Australia's time during convict years. I was inspired by the study of Australia's history and how convicts in the past lived on the isolated island. CAGED is on the edge of Australia and its placement of acting like a barrier shows that convicts were once being imprisoned in Australia. CAGED is made up of round white solid bars of different heights and thicknesses and these illustrates the silhouettes from different viewing angles, as well as producing intriguing shadows at different times of the day. CAGED is safe from viewers and it can be viewed from both far and near distances along the pathway." 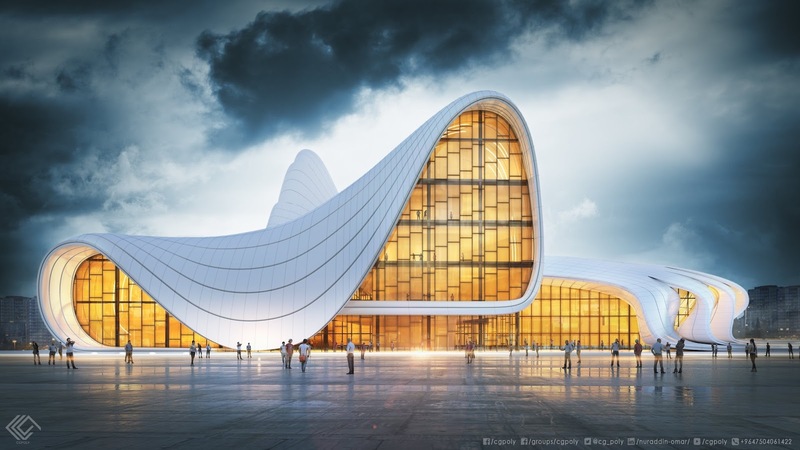 The Heydar Aliyev Centre establishes a continuous, fluid relationship between its surrounding plaza and the building's interior. The building blurs the conventional differentiation between an architectural object and urban landscape, building envelope and urban plaza, figure and ground, interior and exterior. In historical Islamic architecture, rows, grids, or sequences of columns flow to infinity like trees in a forest, establishing non-hierarchical space. Zaha Hadid's intention was to relate to that historical understanding of architecture, not through the use of mimicry or a limiting adherence to the iconography of the past, but rather by developing a firmly contemporary interpretation, reflecting a more nuanced understanding. 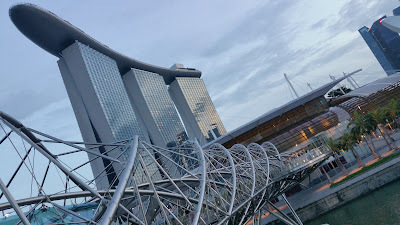 Singapore's most recognizable building, the Marina Bay Sands was designed by Moshe Safdie and it boasts a 38-hectare multi-purpose resort completed with three 55-story hotel towers, casino, convention center, museum, and shops. Safdie designed an urban structure that weaves together the components of a complex program with dynamic urban crossing roads and public meeting place. Inspired by the great ancient cities that are arranged around a major thoroughfare, Marina Bay Sands is organized around two main themes running through the neighborhood and give a sense of direction, placing greater emphasis on the pedestrian street, as the center of civic life.